Two Artesia residents are in custody and one remains at large following an extensive multi-agency investigation into methamphetamine and firearm trafficking in Eddy and Chaves counties. Federal, state and local agencies joined forces in the spring to disrupt and dismantle a criminal organization that was allegedly trafficking large quantities of methamphetamine and numerous firearms in southeastern New Mexico. The results of that investigative effort included the filing of federal drug trafficking and firearms charges against 15 defendants. The investigation, which was initiated by the DEA, ATF and HIDTA Region VI Pecos Valley Drug Task Force, initially targeted a methamphetamine trafficking organization that was allegedly supplied by Daniel P. Bruton, 38, of Artesia, and Marcos A. Martinez, 30, of Roswell. The investigative team quickly expanded to include HSI, the U.S. Marshals Service, the U.S. Border Patrol, the New Mexico State Police, the Chaves County Metro Narcotics Task Force, and the Eddy County Sheriff’s Office, and the investigative targets expanded to include other alleged drug traffickers in Eddy and Chaves counties. During the course of the investigation, which concluded with a major law enforcement operation Wednesday, law enforcement seized more than 2.5 kilograms of methamphetamine and 44 firearms. Based on the investigation, a federal grand jury returned five indictments Thursday charging the 15 defendants with federal methamphetamine trafficking and firearms offenses. One of the indictments charges 10 individuals, including Bruton and Martinez. That 34-count indictment alleges Bruton, Martinez, and their co-defendants conspired to violate the federal narcotics trafficking and firearms laws from May through October in Eddy and Chaves counties, as well as elsewhere in New Mexico. The indictment includes 55 overt acts that discuss the conspiracy’s operations, including the quantities of methamphetamine – ranging from multiple ounces to five pounds – allegedly distributed by the defendants on a routine basis. It also describes the firearms – including assault rifles that allegedly were to be smuggled into Mexico – allegedly used by the defendants in relation to their drug trafficking activities. “This was a good cooperative investigation that will have a large impact on trafficking methamphetamine and gun violence in our community,” said Cmdr. James McCormick of the PVDTF. Twelve of the 15 defendants charged in the five federal indictments are in custody, including seven who were arrested Wednesday. Three defendants have yet to be arrested and are considered fugitives. They are Robert C. Ponce, 42, of Artesia; Erick Miranda-Santos, 21, of Carlsbad; and Chelcy Vasquez, 25, of Dexter. Anyone with information as to their whereabouts is urged to contact the DEA at 575-526-0700. Martinez and Jason Cunningham, 37, of Carlsbad made their initial appearances in federal court in Las Cruces Thursday morning. They remain in federal custody pending detention hearings, which are schedule for Oct. 11 in Las Cruces. The following defendants made their initial appearances in federal court in Roswell Thursday morning: Bruton; Sergio Mario Chavez, 33, of Artesia; Kenneth R. Dickerson, 56, of Carlsbad; Isela Hernandez, 25, of Roswell; Joshua A. Masters, 42, of Carlsbad; Timothy G. Tanner, 28, of Carlsbad; Jerry O. Twaddle, 37, of Carlsbad; Ethen G. Watts, 27, of Carlsbad; Linda M. Watts, 28, of Carlsbad; and Randi I. Young, 25, of Carlsbad. They remain in federal custody pending Oct. 11 detention hearings in Las Cruces. The investigation was designated as part of the Organized Crime Drug Enforcement Task Force (OCDETF) program, a Department of Justice program that combines the resources and unique expertise of federal agencies, along with their local counterparts, in a coordinated effort to disrupt and dismantle major drug trafficking organizations. These cases were investigated by the DEA, ATF, HSI, the U.S. Marshals Service, the U.S. Border Patrol, the New Mexico State Police, the HIDTA Region VI Pecos Valley Drug Task Force, the HIDTA Region VI Chaves County Metro Narcotics Task Force, and the Eddy County Sheriff’s Office. The following agencies participated in yesterday’s law enforcement operation in Carlsbad, Artesia and Roswell: the U.S. Bureau of Land Management Office of Law Enforcement & Security, the HIDTA Region VI Lea County Drug Task Force, the Lea County Sheriff’s Office, the Dona Ana County Metro Narcotics Task Force, the Artesia Police Department, the Carlsbad Police Department, the Hobbs Police Department, the Las Cruces Police Department, and the Roswell Police Department. Special Assistant U.S. Attorney Clara N. Cobos and Assistant U.S. Attorney Renee L. Camacho of the U.S. Attorney’s Las Cruces Branch Office are prosecuting the cases filed as the result of the investigation. Count 1 of the Indictment charges the ten defendants with participating in a conspiracy to distribute methamphetamine. If convicted on this count, defendants Daniel P. Bruton, Marcos A. Martinez, Jerry. O. Twaddle, Ethen G. Watts, and Isela Hernandez each face a statutory penalty of a mandatory minimum of ten years and a maximum of life imprisonment and a $10 million fine. If convicted, defendants Kenneth R. Dickerson, Robert C. Ponce and Erick L. Miranda-Santos each face a statutory penalty of a mandatory minimum of five years and a maximum of 40 years of imprisonment and a $5 million fine. If convicted, defendants Linda M. Watts and Chelcy A. Vasquez each face a maximum statutory penalty of 20 years of imprisonment and a $1 million fine. Counts 2, 3 and 25 charge certain defendants with distributing a mixture and substance containing methamphetamine. The maximum statutory penalty for a conviction on each of these counts is imprisonment for 20 years and a $1 million fine. Counts 4 and 5 charge one of the defendants with distributing more than 50 grams of a mixture and substance containing methamphetamine. The maximum statutory penalty for a conviction on each of these counts is a mandatory minimum of five years and a maximum of 40 years of imprisonment and a $5 million fine. Counts 6, 7, 10, 11, 12, 14, 17, 19, 22, 24, 28, 29 and 32 charge certain defendants with using communication facilities to facilitate drug trafficking crimes. The maximum statutory penalty for a conviction on each of these counts is imprisonment for four years and a $250,000 fine. Counts 8, 16, 18, 23, and 26 charge certain defendants with possession with intent to distribute more than 50 grams of a mixture and substance containing methamphetamine. The statutory penalty for a conviction on this count is a mandatory minimum of ten years and a maximum of life imprisonment and a $10 million fine. Counts 9 and 20 charge certain defendants with possession with intent to distribute a mixture and substance containing methamphetamine. The maximum statutory penalty for a conviction on this count is imprisonment for 20 years and a $1 million fine. Counts 13 and 21 charge certain defendants with being felons in possession of firearms and ammunition. The maximum statutory penalty for a conviction on this count is imprisonment for ten years and a $250,000 fine. Counts 15 and 31 charge certain defendants with possession with intent to distribute more than 500 grams of a mixture and substance containing methamphetamine. The statutory penalty for a conviction on this count is a mandatory minimum of ten years and a maximum of life imprisonment and a $10 million fine. Count 27 charges one defendant with possession of a firearm during an in relation to a drug trafficking crime. The statutory penalty for a conviction on this count is imprisonment for not less than five years, which must be served consecutive to any other sentence imposed and a $250,000 fine. Count 30 charges certain defendants with distribution of more than 500 grams of a mixture and substance containing methamphetamine. The statutory penalty for a conviction on this count is a mandatory minimum of ten years and a maximum of life imprisonment and a $10 million fine. Count 33 charges one defendant with attempt to possess with intent to distribute a mixture and substance of methamphetamine. The maximum statutory penalty for a conviction on this count is imprisonment for 20 years and a $1 million fine. Count 34 charges one defendant with receiving, concealing and facilitating the transportation of four AR-15 assault rifles from the United States. The maximum statutory penalty for a conviction on this count is imprisonment for ten years and a $250,000 fine. Daniel P. Bruton, 38, of Artesia, N.M., is charged in Counts 1, 6, 8-10, 12, 15 and 24-27 of the indictment. Bruton was arrested on Oct. 4, 2017. Marcos A. Martinez, 30, of Roswell, N.M., is charged in Counts 1, 16, 22, 23, 28-30, 32 and 34 of the indictment. Martinez was arrested on Oct. 1, 2017. Jerry O. Twaddle, 37, of Carlsbad, N.M., is charged in Counts 1, 19, 28 and 31 of the indictment. Twaddle was transferred from state custody into federal custody on Oct. 5, 2017. Ethen G. Watts, 27, of Carlsbad, N.M., is charged in Counts 1, 2, 4-14 and 16-19 of the indictment. Ethen Watts was arrested on Oct. 4, 2017. Kenneth R. Dickerson, 56, of Carlsbad, N.M., is charged in Counts 1, 17 and 18 of the indictment. Dickerson was arrested on Oct. 4, 2017. Robert C. Ponce, 42, of Carlsbad, N.M., is charged in Counts 1, 11, 14, 20 and 21 of the indictment. 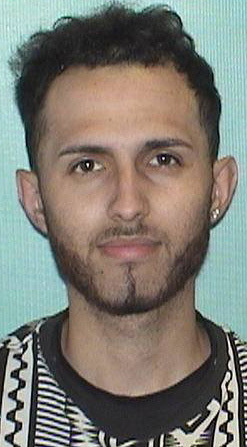 Ponce has yet to be arrested and is considered a fugitive. Erick L. Miranda-Santos, 21, of Artesia, N.M., is charged in Counts 1, 22 and 23 of the indictment. Miranda-Santos has yet to be arrested and considered a fugitive. Linda M. Watts, 28, of Carlsbad, N.M., is charged in Counts 1 through 3 of the indictment. Linda Watts was arrested on Oct. 4, 2017. Isela Hernandez, 25, of Roswell, N.M., is charged in Counts 1, 29 and 30 of the indictment. Hernandez was arrested on Oct. 4, 2017. 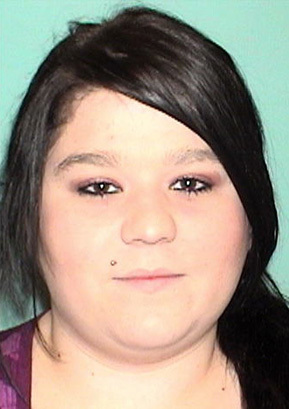 Chelcy A. Vasquez, 25, of Dexter, N.M., is charged in Counts 1, 32 and 33 of the indictment. 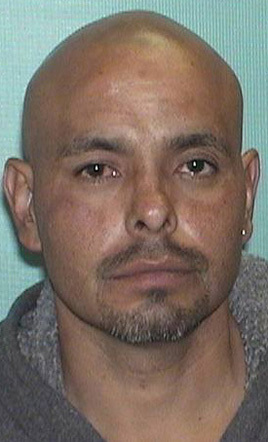 Vasquez has yet to be arrested and is considered a fugitive. Sergio Mario Chavez, 33, of Artesia, N.M., is charged with possession with intent to distribute more than 50 grams of a mixture and substance containing methamphetamine on July 18, 2017, in Eddy County, N.M. The statutory penalty for a conviction on this count is imprisonment for is a mandatory minimum of ten years and a maximum of life imprisonment and a $10 million fine. Chavez was arrested on Oct. 4, 2017. Jason R. Cunningham, 37, of Carlsbad, is charged with distributing a mixture and substance containing methamphetamine on Sept. 27, 2016, in Eddy County, N.M. The maximum statutory penalty for a conviction on this count is imprisonment for 20 years and a $1 million fine. Cunningham was arrested on Oct. 4, 2017. Joshua A. Masters, 42, and Randi I. Young, 25, both of Carlsbad, N.M., are charged with distributing methamphetamine on March 8, 2017, in Eddy County, N.M. Masters also is charged with distributing methamphetamine on Jan. 26, 2017, in Eddy County, N.M. The maximum statutory penalty for a conviction on this count is imprisonment for 20 years and a $1 million fine. Masters was arrested on Oct. 4, 2017, and Young was transferred from state custody to federal custody on Oct. 5, 2017. Timothy G. Tanner, 28, of Carlsbad, N.M., is charged with being a felon in possession of a firearm and with possessing a firearm with an obliterated serial number on June 2, 2016, and possession of more than five grams of methamphetamine with intent to distribute on Aug. 4, 2016, in Eddy County, N.M. Tanner was prohibited from possessing firearms or ammunition because of his prior convictions on drug trafficking and evidence tampering offenses. The maximum statutory penalty for a conviction on the firearms charges is imprisonment for ten years and a $250,000 fine. The statutory penalty for a conviction on the methamphetamine trafficking charge is imprisonment for a mandatory minimum of five years and a maximum of 40 years and a $5 million fine. Tanner is currently in state custody and will be transferred into federal custody to face the federal charges against him. Charges in indictments and criminal complaints are only accusations. Defendants are presumed innocent unless proven guilty beyond a reasonable doubt in a court of law.